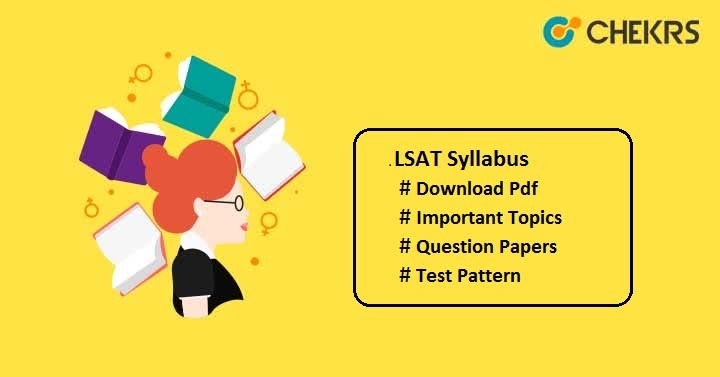 LSAT Syllabus 2019: Law School Admission Test (LSAT) is an entrance test managed by Law School Admission Council, USA to offers admission in to various UG, PG and integrated law programmes. Candidates can get admission in different law colleges across the country. Candidates keen to pursue law can apply for LSAT 2019. Usually this exam is organized 4 times in a year but Indian candidates can apply only once. Candidates who are going to appear for this exam need to check the syllabus and LSAT Exam Pattern and LSAT Question Papers also. The syllabus is comprised of 4 sections. Students must know every section in order to score maximum marks in the exam. Here we have provided the LSAT Exam Syllabus with section wise topics. Aspirants should know the LSAT Exam Pattern to make the appropriate strategies for the exam preparation as it will help them to understand how to perform well in the examination. In LSAT exam syllabus, one more sections will be there i.e. Writing Skills or Variable section. For this section, no marks will be awarded and you will not know which section is unscored section. So you will have to attempt all 5 sections. Once completing the exam syllabus students should start practicing Previous Year Papers to analyze their knowledge and to strengthen their preparation also. Give Online Mock Tests on regular basis to improve your speed and accuracy. Here we have mentioned the LSAT Question Paper Download link for you. Without wasting your time just download the papers and start preparing from today. Click Here to download the LSAT Sample Papers.